Whether you’re a beauty queen or you only wear makeup when you absolutely have to, life is a lot less stressful when your makeup bag has the tools you need. Many of us played with toy makeup and progressed through the cheap tools of our teen years, and a time just comes when you need to upgrade. When that time comes, you may find yourself turning to your current makeup bag and wondering what you really need. It’s so easy to have a bunch of partially-used eyeshadows and dried-out mascara tubes. These things will just slow you down. It’s important to have what you need when you need it, and just like your wardrobe has basics you depend on, your makeup bag needs to pull up to the bar when it comes to basic tools. 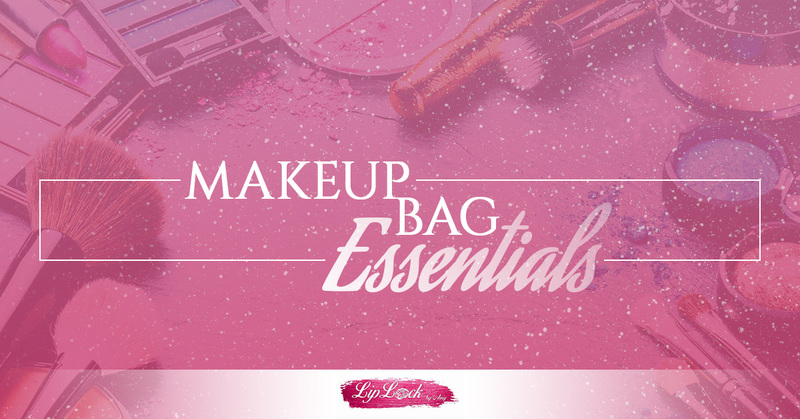 Read on to learn what a great makeup bag includes! Many people underestimate the importance of their brows, focusing instead on their eyes and lips. However, brows will do a lot for you with not too much work; you just have to ensure you maintain them. Get slanted tweezers that will make it easier to grab errant hairs and remove them. They aren’t expensive, and they’re a great help. Curled eyelashes can give your face that extra pop, allowing your lashes to fulfill their potential. They’re easy and quick, which gives you a lot of bang for your buck. They’re also great to have when getting ready with the girlfriends – even if you don’t use them all the time, your friends may be really glad to be able to borrow them! Even if you don’t wear much makeup, mascara can do a lot of the work for you. It frames your eyes and gives them an extra little something, so it’s worth investing in a high quality brand that doesn’t require you to apply multiple coats. We also recommend you avoid mascara that runs, flakes, or clumps up. Giving your skin what it needs and getting a glow out of the bargain is a win-win. And if you can add SPF protection, you’re golden. Go offer BB cream that gives you what you need in a few swipes of the fingers! You might think that bronzer isn’t essential, but it can give your skin a striking warmth. It’s also quite versatile. A matte bronzer works for contouring, and a shimmery one can double-duty as eyeshadow or blush. It is a worthy investment for your makeup bag. When you’re tired or sick, a bit of a glow can make you feel a bit better. Blush is there to give you color when you need it, and to do it naturally. Invest in a tone that works for you and leave it at that. Before you invest in electric blue or green, get a neutral eye shadow palette. It will be your every-day friend and act as a foundation when it’s time to spice things up. Just like blush, a little lip color can be just the ticket on days when you’re feeling low. It can also make a great day amazing. It’s a good idea to have a lip color close to your natural lips just for a little enhancement as well as a bright color when you need to bring the wow factor. Lip color needs to go on easily and stay on without smearing or cracking. LipSense® colors are revolutionizing the lip color world, and they come in a beautiful array of hues. Contact Amy’s LipLock to learn more, especially if you want to be a SeneGence® independent distributor! ©2017 Amy Oakes® - Do not copy. All rights reserved.